Aloha, my name is Al Braun. 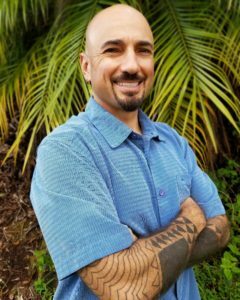 I am the owner of Hawaiian Shaving Company, a husband, a father, a Kānaka Maoli ​(Native Hawaiian), and a U.S. Navy Veteran. My wife, Tara, my daughter, Anna Kaimālie, my son, Nathan Kekoa, and I have poured our hearts into our company. 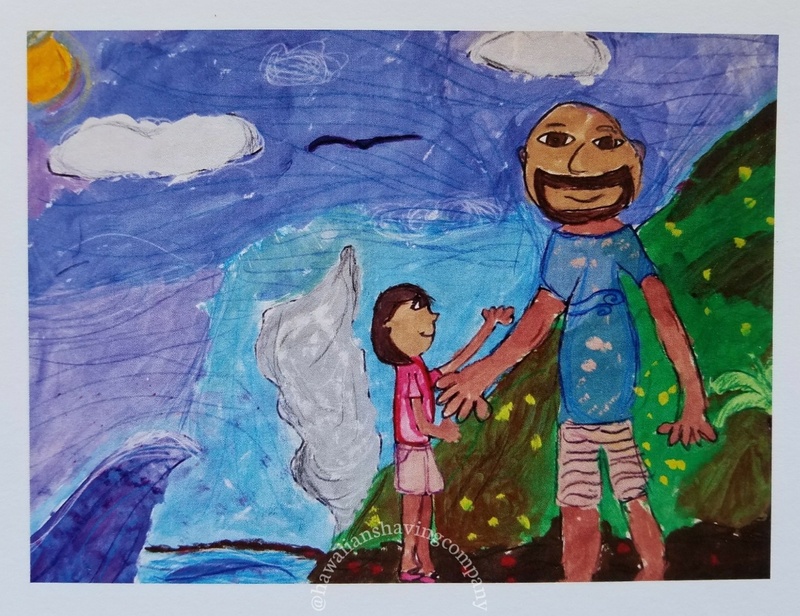 We want to share our mo'olelo (story) with you. The mo'olelo of our company is as important to us as our products. We hope you experience our culture through Hawaiian Shaving Company. Hawaiian Shaving Company is the brainchild of an eight year old girl from the Big Island of Hawai'i. When Anna Kaimālie was born, Tara and I began taking her to Kaimū. Kaimū is a black sand beach on the Big Island. Kaimū means "gathering by the sea" in 'ōlelo Hawai'i (Hawaiian language). It was a popular beach famous for its black sand and abundant coconut trees, but was overrun by a lava flow from Kīlauea Volcano in 1990. After the lava cooled, a new beach was formed at the intersection of rock and ocean. Kama'aina (residents) and malihini (visitors) began planting keiki (young) coconut trees to replace the groves covered by the lava. During our family's frequent visits to Kaimū, we planted coconut trees to help restore this special place to its former beauty. These keiki coconut trees and our daughter have grown up together. I have been an avid wet shaver for over 20 years, shaving both my face and head daily. I wanted to find a quality shave soap from our islands that used local ingredients. I also wanted to support our local economy. Often, my family would visit Kaimū, and then stop at local retailers and farmers markets across the island in search of this holy grail of shave soaps. After over a year of fruitless searching, Anna Kaimālie exclaimed "Daddy, you can do everything! You should just make your own shave soap!" Tara chimed in, "Yes! This is a great idea! We can make the soap with local ingredients, and keep it all natural." With their encouragement, product design and testing began. To connect our soap to our favorite place, Kaimū, we made certain that coconut oil would be a primary ingredient. We decided to use activated charcoal from coconut husks to make our soap reminiscent of the cooled lava flow at Kaimū. We also chose to use kukui nut oil to condition the skin, as our ancestors have done for centuries. After months of testing, samples were given to 'ohana (family) and hoaloha (friends). The feedback was overwhelmingly positive. Tara encouraged me to begin offering our products for sale, and thus, Hawaiian Shaving Company was born. Mahalo to our hui, our kūlanakauhale, and our mokupuni. Mahalo nui loa to our kūpuna. And lastly, mahalo to you for purchasing our products. When you are enjoying this soap, you can thank a little girl from the Big Island of Hawai'i. Experience what others have been talking about.